The appearance of your teeth and gums play a significant role in how you view yourself. If your smile is less than perfect, you probably have a poor self-image. When you do not love your teeth, it is easy to feel like others are judging you based on your smile’s flaws. While it may seem like there is nothing you can do, you do have several options. 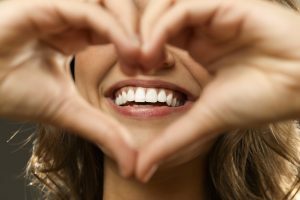 As your cosmetic dentist in Olmos Park, Dr. Christopher Holland will help you love your smile with cosmetic dentistry. New Image Dentistry offers an array of cosmetic procedures to drastically improve your self-image. In the past, cosmetic dentistry was only available to the elite as it was quite expensive. However, advancements in dentistry have made it more affordable than ever. Now, people from all walks of life are turning to Dr. Holland to get a new smile. After performing an initial consultation, he will create a customized treatment plan that caters to your individual needs. To help you achieve the smile you have always wanted, your treatment plan may include one or more procedures. By attaching the thin shells to the front side of the teeth, cosmetic flaws are instantly hidden while you gain a whiter, shapelier, and more proportionate smile. Your teeth will look natural as discoloration, chips, cracks, and minor alignment issues are hidden using a noninvasive procedure. Turn back the hands of time for a younger, rejuvenated smile with teeth whitening treatments. We offer two options to reverse tough tooth discoloration, including an at-home whitening kit. Your teeth will become several shades whiter with the professional-grade whitening agent. Treat cavities with tooth-colored fillings. The composite resin material is customized to match your enamel color so you do not have to worry about a dark filling causing an eyesore in the appearance of your tooth. The fillings are metal-free for a safer treatment option. Get a straight smile using a sophisticated treatment. The clear aligners are worn over the teeth to gradually move them into position. There are no metal wires or brackets used so you gain a discreet treatment that provides effective results. If you have several factors hurting the appearance of your teeth, a smile makeover will rehabilitate your oral health while enhancing the beauty of your teeth. A customized treatment plan will provide the drastic results you need. Permanently replace your missing teeth with dental implants. No matter if you need one tooth replaced or a full arch, dental implants give you the security and confidence you need to smile brightly. As your cosmetic dentist near Olmos Park, Dr. Holland understands the self-image issues you face due to the appearance of your teeth. He will help you regain your self-esteem by transforming your smile. Using cosmetic dentistry, you no longer have to hide behind an imperfect smile. Contact New Image Dentistry today to schedule your consultation.